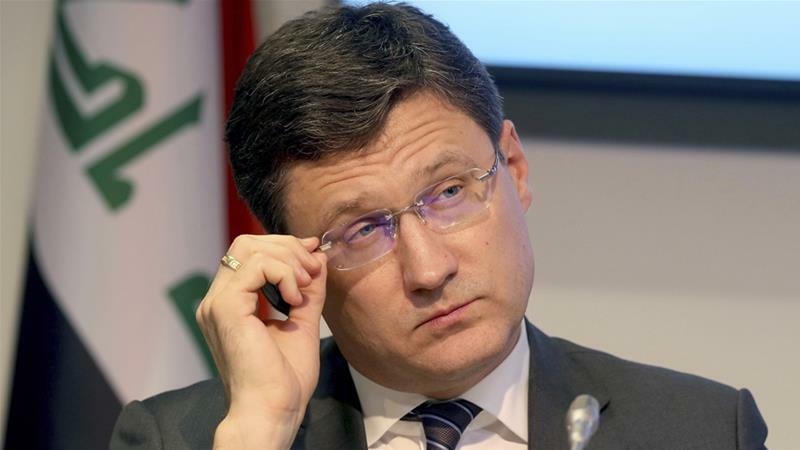 Russian Energy Minister Alexander Novak has said Moscow will support Iran to counter US oil sanctions. Washington on Friday restored sanctions on Tehran, which had previously been lifted under the 2015 nuclear deal. The measures are due to come into effect on Monday. In an interview with the British Financial Times newspaper, Novak said that Russia is looking to continue trading Iranian crude oil beyond the Monday cut-off. "We believe we should look for mechanisms that would allow us to continue developing cooperation with our partners, with Iran," Novak told the FT. Under a 2014 oil-for-goods deal, Moscow sells Iranian oil to third parties while Tehran uses the revenues from those sales to pay for Russian goods and services. The Russian energy ministry told the FT that the trade would continue next week, while Novak said that Moscow considered the US sanctions to be "illegal". "We already live in the condition of sanctions," he said. "We do not recognise the sanctions introduced unilaterally without the United Nations, we consider those methods illegal per se." Covering Iran's shipping, financial and energy sectors, the sanctions are the second set to be re-imposed by the Trump administration since it unilaterally withdrew from the nuclear deal in May. The 2015 deal, which also inc luded Britain, China, France, Russia, Germany and the European Union as signatories, gave Iran relief from sanctions in exchange for restrictions on its nuclear programme. While Trump has taken the US out of the deal, the other parties have strongly defended it and pledged to try and protect the agreement. Britain, Germany, France and the EU have announced plans to establish a "special purpose" financial vehicle that would allow trade between Europe and Iran to continue, although it will not be ready by Monday. The Europeans said on Friday they "deeply regret" the re-imposition of sanctions and would work to ensure legitimate trade with Iran could continue. "Our collective resolve to complete this work is unwavering," they said in a joint statement. The US on Friday said that eight countries would receive temporary waivers that would allow them to continue to import Iranian petroleum products fo r a limited time. The waivers, which are valid for six months, were for countries that could not fully end their imports of Iranian oil before Monday's deadline, the US said.